Some people become addicted to prescription drugs. Their doctors may not recognize the symptoms as well as those who spend more time with these individuals. • Impaired motor function• Impaired coordination and balance. This occurs because of Klonopin’s long half-life which means that the medication itself stays in the person’s bloodstream. 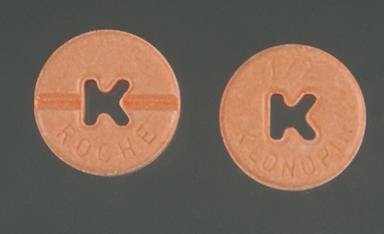 The real danger related to Klonopin comes when individuals either mix the drug with another substance. Use of other drugs intensifies the general effects. The other situation where Klonopin use is dangerous is when use of the drug is abruptly discontinued after long term use. Everyone who utilizes Klonopin long term becomes low dose dependent. Side effects of the drug itself are generally benign, but sudden withdrawal after long-term use can cause severe, even fatal, symptoms. Symptoms of withdrawal include: Anxiety, irritability, insomnia, panic attacks, tremors and DT’s (delirium tremens) which occurs with long term use. Not only can long term Klonopin use result in dependence, it can also result in protracted withdrawal. This means withdrawal can last for months, years, or even a life time. This only occurs in ten to fifteen percent of cases, however, the risk is real. This results because of brain damage, which is usually irreversible. Some symptoms include: anxiety, insomnia, tinnitus, tingling and numbness in limbs, muscle pain and tension, cramps, weakness, irritable bowel, and cognitive difficulties. As far as I know, Ruth still pops another Klonopin several times per day. She is well stocked with all kinds of drugs that she apparently uses with no discrimination or good judgment whatsoever. Suicidal impulses are one of the known harmful side-effects. The situation is simply pitiful, for all involved. To make matters worse, her hubby blindly supports Ruth, in good habit or bad. He, supposedly trained to treat addicts, helps his own wife maintain her drug habit. I found this very interesting. I actually took Klonopin nearly every day for 4 years for Restless Leg Syndrome. I quit cold turkey after stopping hormone replacement therapy, which I had long suspected was the cause of my worsening RLS symptoms (a lesson in listening to my "gut" over the advise of medical professionals). For about a week, I had more severe RLS symptoms, but those tapered off to a minor, occasional annoyance. I never experienced what I would classify as even mild withdrawal symptoms. Every reaction to a drug can be different, just as some people become alcoholics and others indulge with no apparent harm. You are lucky, I guess, the stats say about ten to fifteen percent have problems with Klonopin. My guess is they are the ones who get hooked and keep on taking it, even when they know it is doing bad things to them.